Oh, David, you are saying in your head, you should try to make your jokes more believable. Nobody is going to buy this one. Well, I do make my jokes more believable. The problem with fiction, as Tom Clancy pointed out, is that fiction has to make sense. Facts do not have to make sense, however… they get a pass for being real. Ted Cruz, one of the loudest critics of Obamacare, will soon be using it for health insurance coverage. 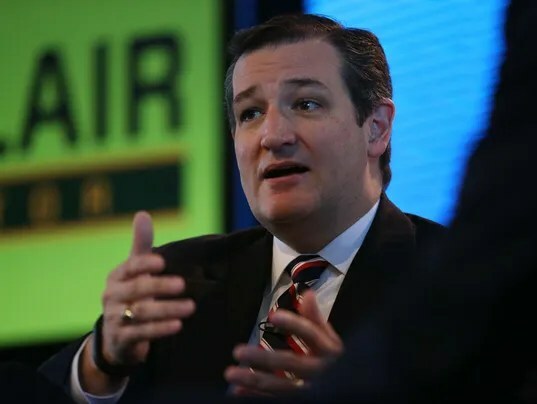 Cruz’s wife, Heidi, is going on an unpaid leave of absence from her job at Goldman Sachs to join Cruz full time on the campaign trail, Cruz told the Register. I could never be so creative.